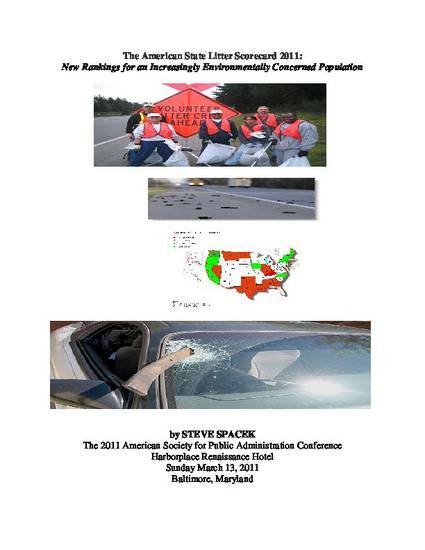 By popular demand--a NEW, up-to-date State Litter "Scorecard" is now released for the 2011 ASPA Baltimore event--measuring each state’s overall environmental quality through public property/spaces debris removal efforts. The “CARD” uses tried-and-true, hard-to-publicly obtain objective and subjective measures, leading to a total overall score for each measured jurisdiction. Readers can thus gain a realistic "picture" of "what's going on" within one or all of the 50 states. Littering/dumping remains harmful, serious American environmental crimes, creating dangers to public health and safety, and contributing to the deaths of over 800 Americans in debris-attributed motor vehicle accidents. The first, original 2008 Scorecard was cited by major U.S. newspapers, magazines and journals, (i.e.  The Boston Globe; Travel and Leisure; The 2009 National Cooperative Highway Research Program's "Reducing Litter on Roadsides" Journal) and has been a valuable tool in enabling improved debris/litter abatement practices in states and regions. Washington was deemed the overall top BEST state, followed by California, Iowa, Maine, Connecticut, Rhode Island, Vermont, Oregon, New Hampshire, North Carolina and New York. Kentucky led the bottom –the ultimate WORST of the 50 United States, followed by Louisiana, Mississippi, Nevada, Alabama, Indiana, Georgia, Illinois, Oklahoma, Montana, North Dakota and Texas as poor performers. Regretfully, some states still do not collect important comparative litter data measures, nor yet to have made REAL differences in improving environmental conditions to protect citizenry health and welfare. This paper is yet another call to action to help remedy these unattended-to issues—and, to save lives.